I don't usually write about "healthy" cookbooks, because I'm a big fan of moderation in all things instead of eliminating or cutting back severely on specific foods or food groups. The book Eat Right for Your Sight is a "healthy" book, but it takes a different path. 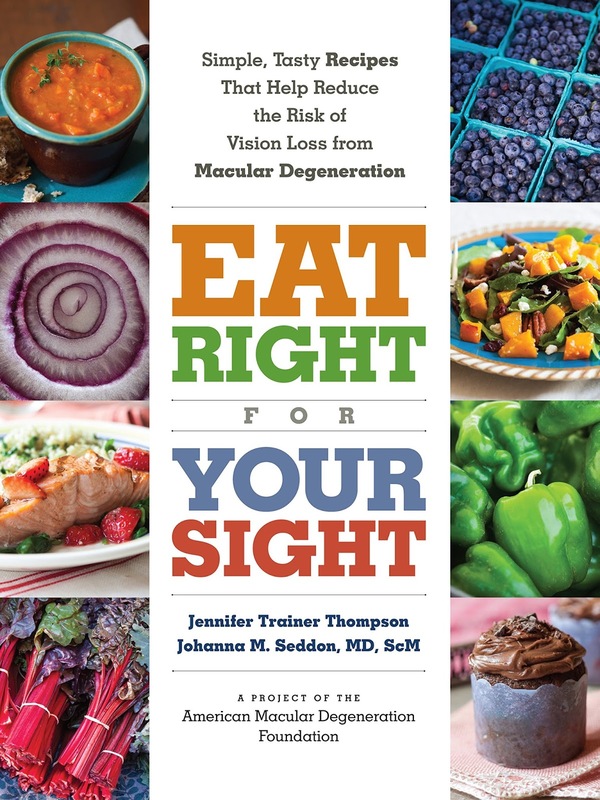 Instead of eliminating foods, it focuses on getting more of the foods that are good for your eyes and that are supposed to help reduce the risk of macular degeneration. Each recipe lists the nutritional profile, with particular mention given to the nutrients that are good for your sight. Calories, protein, fat, and fiber are also listed, so if you have additional health concerns, you have more information. I've made quite a number of Greek salads in my life - and I've posted a few of them here - but this one is a little different. For one thing, there's no lettuce. And for another, there's no lemon. This was quite tasty as a salad, and it makes a nice side dish, too. Combine all ingredients in a bowl and toss gently. Let this sit for 10 minutes before serving so the flavors have a little time to get friendly. Note: leftovers are pretty good after 24 hours - the vegetables marinate in the vinegar and flavors mingle and the onion gets milder, but you might want to drain the liquid and perhaps add a touch more vinegar if you need to hold it any longer, or it can be a bit watery.